This is a Tuesday "Slice of Life" for Two Writing Teachers. Check out their website for lots more reflections on teaching. 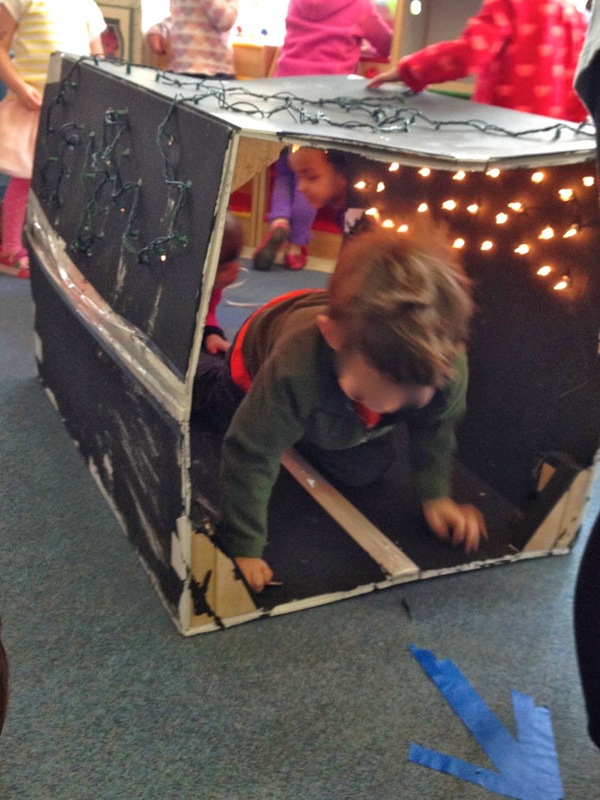 about trying to prepare preschoolers for new experiences. unless you change the routine in some radical way. This past week, I was again reminded of this: change is difficult for many preschoolers. On Wednesday, we began a new morning gathering "tradition" - every Wednesday morning, between now and the end of the school year, our morning gathering will include not just the Big Cats, but the Giraffes (the other preschool class), as well. Aisha (Giraffes' Master Teacher) and I thought this would be great community building - another opportunity for these preschoolers to mix, a chance to sing, play, and listen together. Next school year, these two groups of children will blend together to create two new classes of Pre-K students. Why not let them have a little more exposure to one another before the school year ends? Especially, in such a safe and familiar way? Oh, the protests! By this time of year, I know exactly which children will have difficulty with this new "tradition." I decided to prepare these tykes. During breakfast, I mentioned it to each child, one-on-one. "I don't like that. 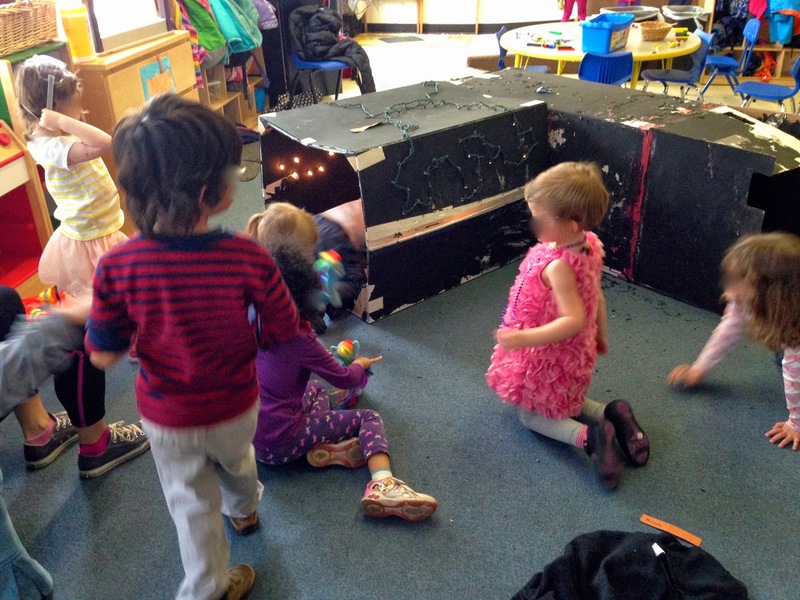 I like Gathering in our classroom." "I'm going to just sit on your lap, Ms. Ingram." "Why do we have to go there?" "I don't want to do that, Ms. Ingram." "I'm not going over there, Ms. Ingram." This last friend, I decided to walk over to the Giraffes during breakfast, chatting him up, "Let's go visit the classroom now, so you might see that their classroom is much the same as ours, they have a nice Gathering spot, we are going to have fun." In the Giraffes, we checked out the scene, and then, much to my total amusement, he turned to the preschool teacher and said, "This is all very wonderful, but I won't be coming over later." I assured him he could hold my hand and/or sit with me, throughout the Gathering. Fast forward: the group Gathering occurs. It took me many extra minutes to get my squirrelly, reticent preschoolers lined up to go next door. It took me many extra arms to hold them. I sat down, breathless, sweaty, with one preschooler on my lap; two others nestled up close to my body, one on each side; still another preschooler perched somewhat behind me, hugging me around my neck. Both Melissa and Claire (the other teachers) were also shoring up a few timid souls. Whew! I made it into the classroom! We are sitting at Gathering, with the Giraffes. I look at the Giraffes teachers, and what do I see? They mirror us, with several preschoolers adorning each teacher, at all angles. Aisha welcomes us - "Hello, Big Cats! Welcome to the Giraffes!" Immediately, as if on cue, the preschooler on her lap says, "And, bye!" - making it all too clear that she would prefer that we be gone, that her routine not be new. First, a vent - to think, just a few weeks ago, I was blogging each day; the sheer frequency of it seemed to make me more organized...I don't remember feeling as rushed and almost 'caged' as I do right now - nearly 9 pm, and I haven't made a Tuesday blog post - yieeeee!!! Get on with it, Maureen! She ran up to me and declared, "Ms. Ingram, I am very frustrated, because [Shelby] is mad at me because I don't say his name right, and I told him that this is the only way I can say it, because I can't say it the right way." She is well aware that she has difficulty articulating the "SH" sound, which - unfortunately for her - is part of his name. Her "SH" is much more like an "S" sound; thus, she says "Selby" not "Shelby." Me - "Shall we go talk to him, you and I, together?" "No, I'm not going to play with him." I wonder if any of my preschoolers have figured out that I believe the main purpose of my work is to help them understand one another? to communicate? to learn to speak up to one another and to listen to one another? I found Shelby, playing by himself with the counting bears. I asked, "Is anything wrong with you and [Kristen]? He asserted, "Yes, I don't want her to talk to me anymore because she calls me Selby and my name is Shelby." Me - "[Kristen] is sad about this. Do you know that [Kristen] is trying really, really hard to say 'Shelby' but that she hasn't quite learned how to say 'Sh'? She is trying to teach her mouth to say 'Sh' but so far it only comes out 'ssssss.' "
Him - "I don't like that. I'm not going to play with her until she says it right. That's my name." Me - "Yes, this is very important to you. Our names are very important. But, I'm thinking, you don't know how to write your name yet, do you? You know how hard it is for you to hold the pencil, and how frustrated you get, trying to write those words? You want to quit, but, you don't, you keep trying, because you are learning." He looks at me wide-eyed. Me - "[Kristen] knows how to write letters. She can write your name very well. And you say your name very well. You both know how to do something very well, and you are both learning something very hard. We are all good at some things and working on some things. [Kristen] is working on saying your name." "Maybe she could help you learn to write your name and you could help her pronounce your name." Him - "Or, maybe, if she can't say my name, she can call me a new name!" I couldn't help chuckling, at the sheer unexpectedness of this. "Well, that is a good idea. What do you think she could call you, in the meanwhile, while she is learning your name?" Him - "How about 'Mister Blue'? " I smiled, and echoed, spontaneously, "Mister Blue?!" We walked over to [Kristen], to share this idea with her - and, my oh my, what a huge grin she had at this suggestion. "That is a silly idea!," she laughed. Now you see - I have the best job in the world! Tuesday SOL What are your questions? This is the time of year when prospective families often drop by the school to check it out, to see if this is the place that they want to send their preschooler. What questions will they have? Will they wonder about the curriculum? The pattern of our day? The types of activities we do? What project are we working on? Are they wondering about our academics? Will they ask, where is the math? what about literacy? Are we teaching children to write? 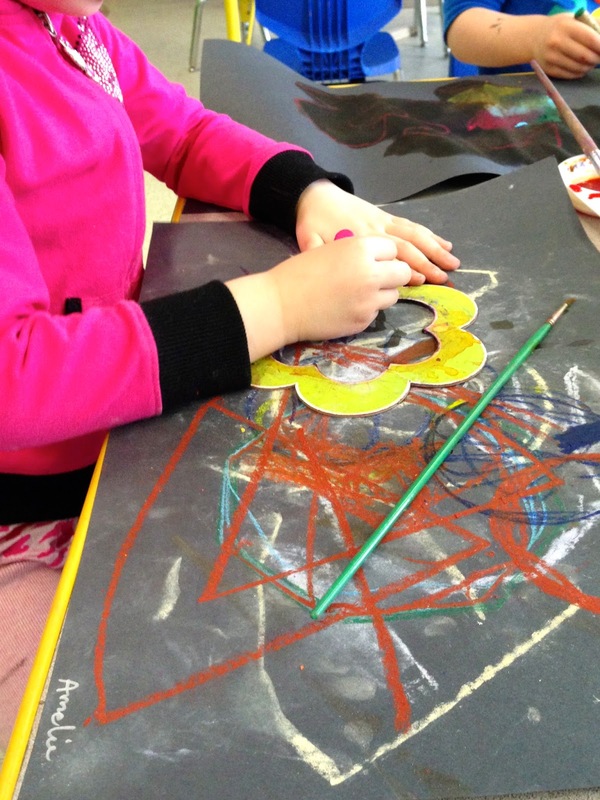 What are the learning standards for preschool? One young couple dropped by today, getting ready to send their firstborn to preschool. Is it a problem that my child takes a three-hour nap? How will my child adjust to having so many classmates, when he is a quiet, introverted child? 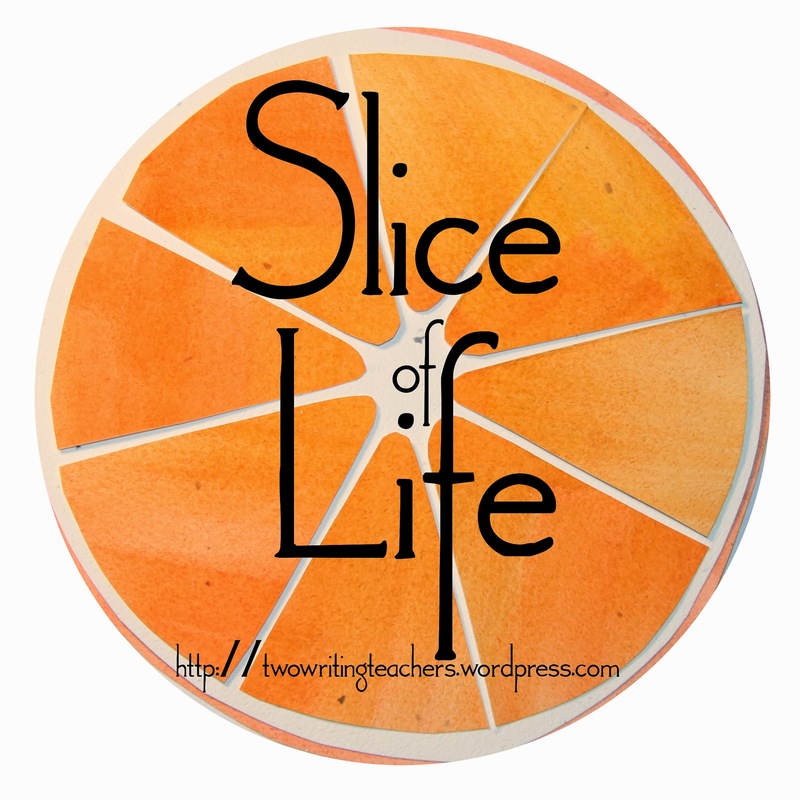 The Two Writing Teachers March Challenge has ended but the weekly Tuesday "Slice of Life" begins! Check out their website for lots more reflections on teaching. At Gathering, Melissa re-introduced the tunnel - one section now with special lights! The children were so, so, so excited about this - jumping up and down, hardly believing that this was theirs to play in. 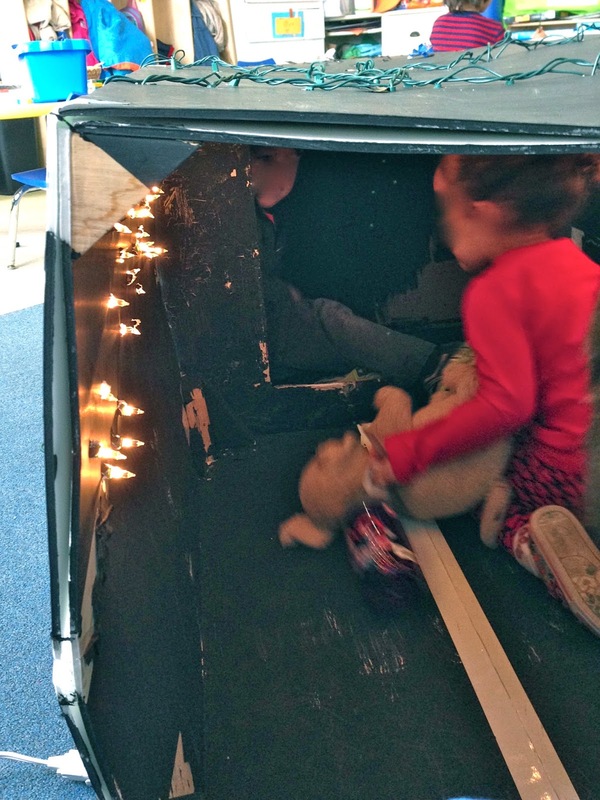 Melissa explained that she would work with a small group, just a few at a time...reminding the children that a cardboard tunnel would need to be used with great care. "No, it's the other way." "Remember, you are crawling through." "You need to take a break and remember how you let those in front of you go first." "Who's in front of you?" Melissa joked with me at one point - "They almost look like little hamsters going round and round and round. Hopefully for nap, they'll be out!" Well, naptime was pretty much the same as always...but, certainly, the morning exploration of the light tunnel was awesome fun!